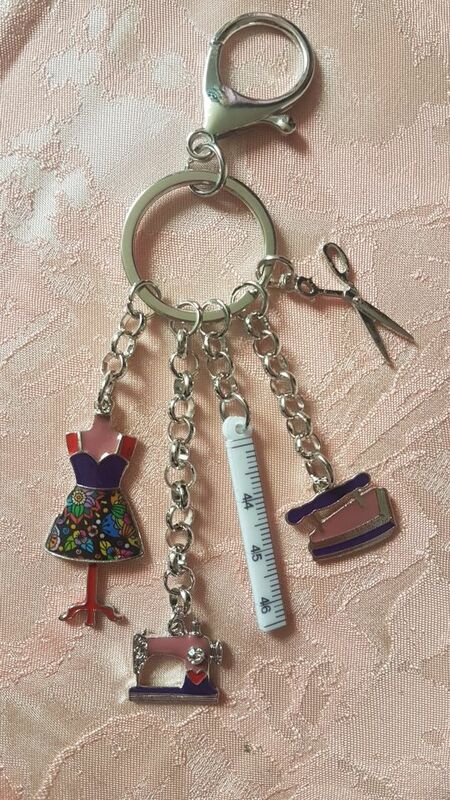 A lovely enamel keychain for all sewing lovers. 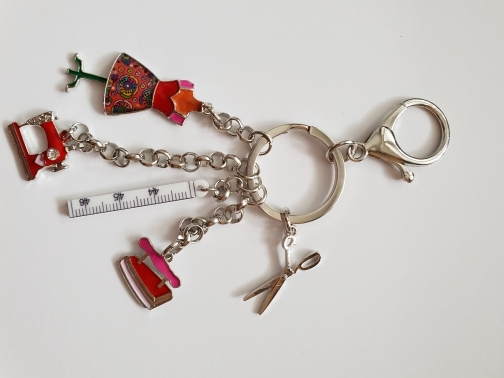 With this Keychain you will have your favorite tools always with you. 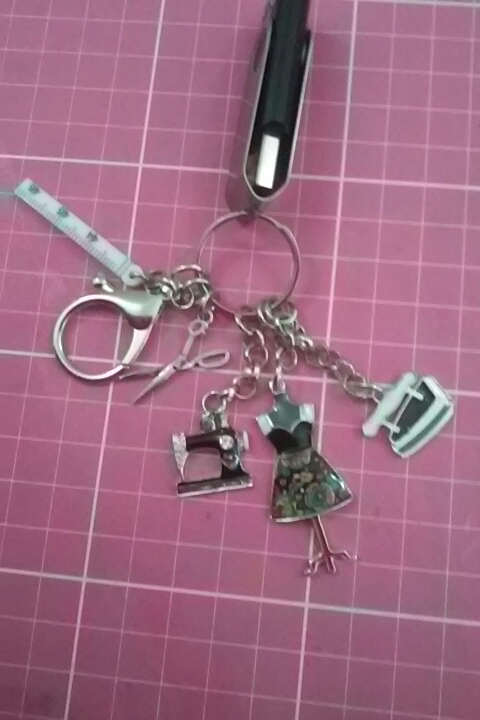 It includes all the essentials that a dress maker needs: sewing machine, ruler, iron, mannequin dress form, and scissors. 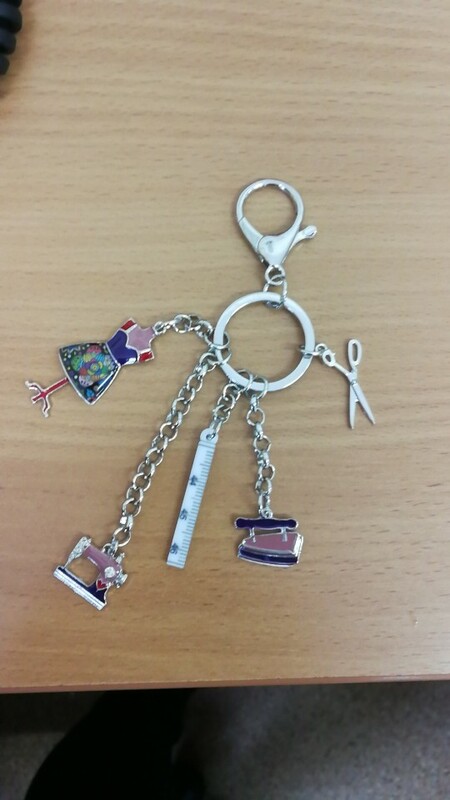 Use it for your car or door keys, as a pendant for your purse or your phone case. 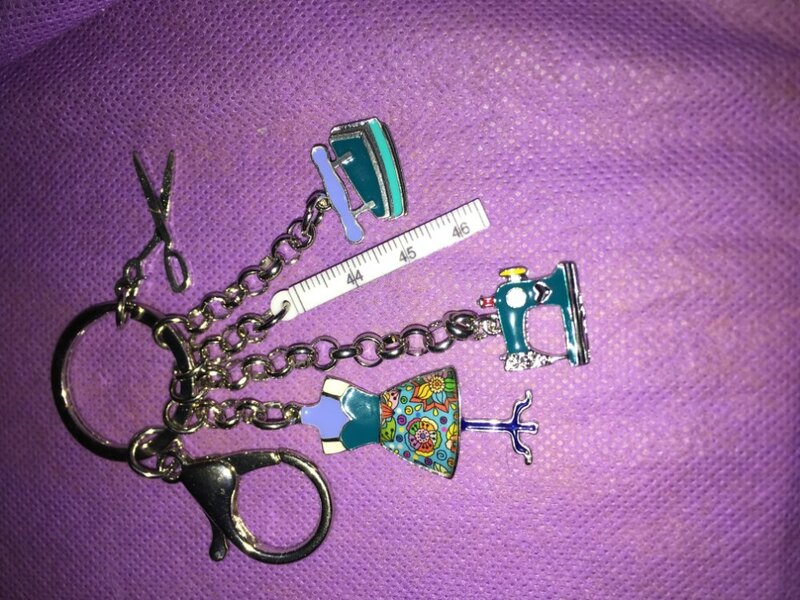 It is also a great gift for a sewing friend. 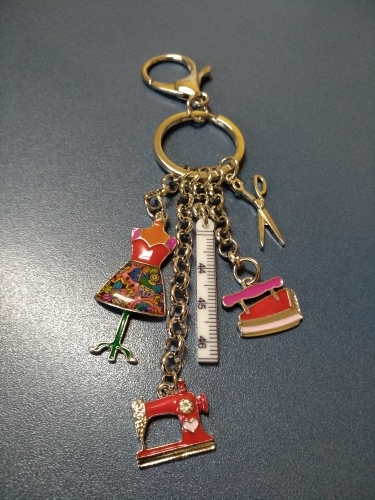 The size of this keychain is approx. 2.60″ x 3.11″ / 66mm x 79mm and comes with a lobster claw clasp (snap hook). Product received and recommend the all there. A good stick, match the description. 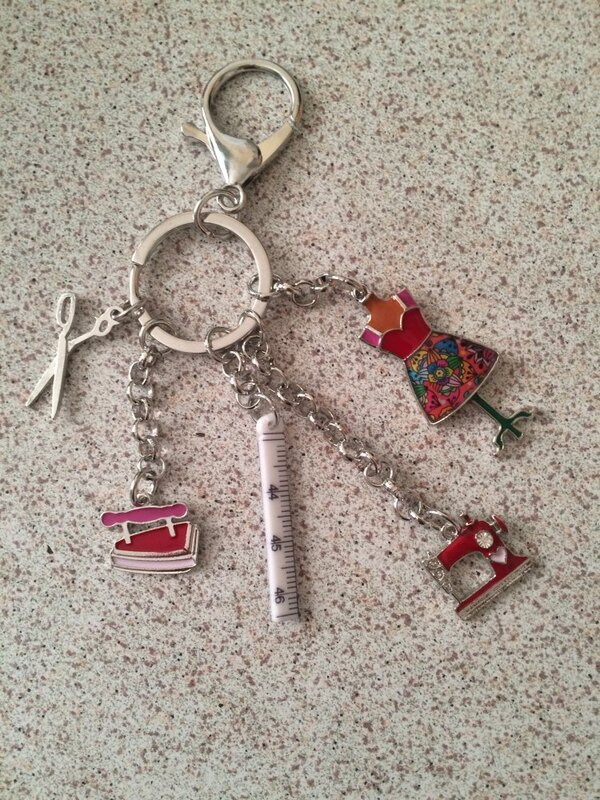 The key chain is beautiful!